My name is Jerry Litschi. My interest is Old Time rubber powered model airplane. Mostly from the Wakefield Class. This web-site is for the promotion of "Free Flight Model" flying in general. The Great Grape Gathering in particular. on a huge grass field in Geneseo NY. That's 5 chances to get out and fly! For full information click the NWM FF series tab on left. May31-June 1 and 2, 2019. In order to avoid conflicts at the AMA Field in Muncie. 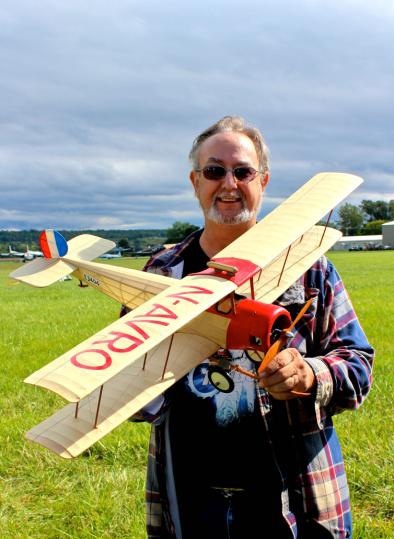 For many years SAM 86 of Canada with the help of the Western New York Free Flight Society has held a 3day contest at Geneseo New York in September. Known as the "Great Grape Gathering" due to the prizes being bottles of wine. More than just a model airplane meet but also a social event second to none. Consider 3 days of great flying and socializing on a large grass field with 40 Free Flight events at the home of the National Warplane Museum. A fish fry Friday night with a chicken dinner Saturday with the most friendly group of people you can meet. The Great Grape Gathering is the second sanctioned event and the closing act of the National Warplane Museum Free Flight Series. For full information on the series click the NWM FF Series tab to the left. Great Grape Gathering tab on the left. Jim Smith of the "Crossing Free Flight Group"
With one of his diesel powered Scale Models. 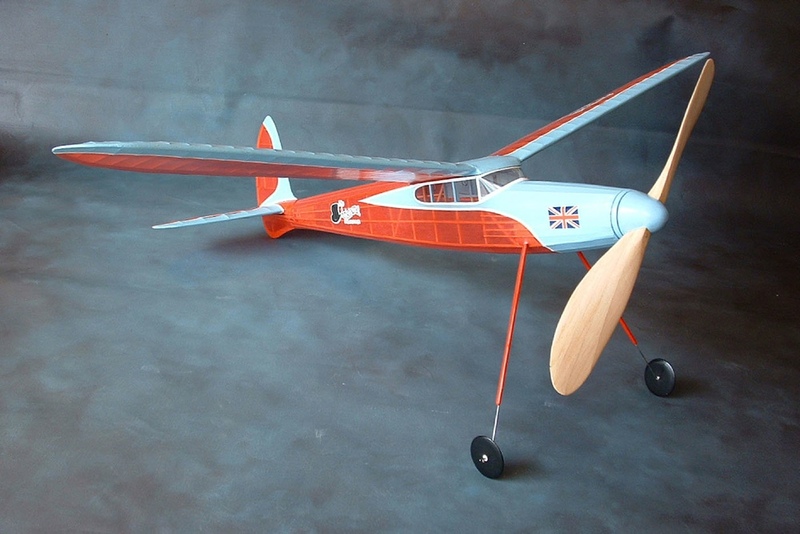 Society of Antique Modelers Free Flight contests have all but vanished in the North-east area. SAM7 holds a 2 day contest in Connecticut every August. Beginning 2019 there will now be a SAM Free Flight Contest in Wawayanda, New York. Find all the details on the "Bob Morris Memorial Page. Pictures of Vintage and Classic Wakefields' such as the one below can be seen by clicking the Wakefield Photos tab above left. 1948 Aristocrat, designed by Edwin Stoffel. this version was built by Al Pardue. The following are Personal photos collections from modelers of contests and flying sessions from the past. Also some videos I have taken at flying sessions and various videos of Wakefield models. This collection belonged to Col Williamson. An excellent modeller and well known in vintage circles in England where lived for a long time. The pictures are of his younger years around 1948 thru 1951. Please click on link below and enjoy. Below are links to the videos.